Stats: From JCT Mt. Markham Trail to JCT Upper East Sam Merrill Trail: 0.2 miles, 20′ gain; from JCT Upper East Sam Merrill Trail to JCT Mt. 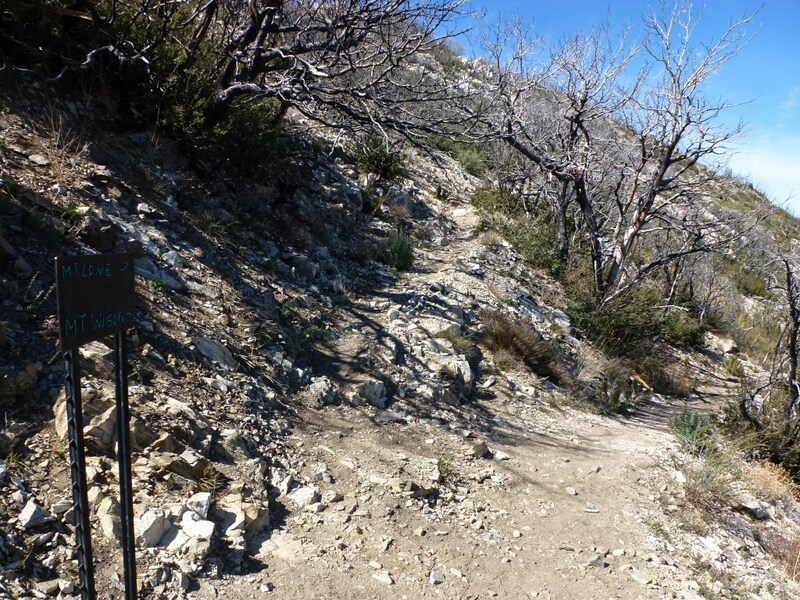 Markham Trail: 0.2 miles, 20′ loss; round trip 0.4 miles, 20′ gain and loss. 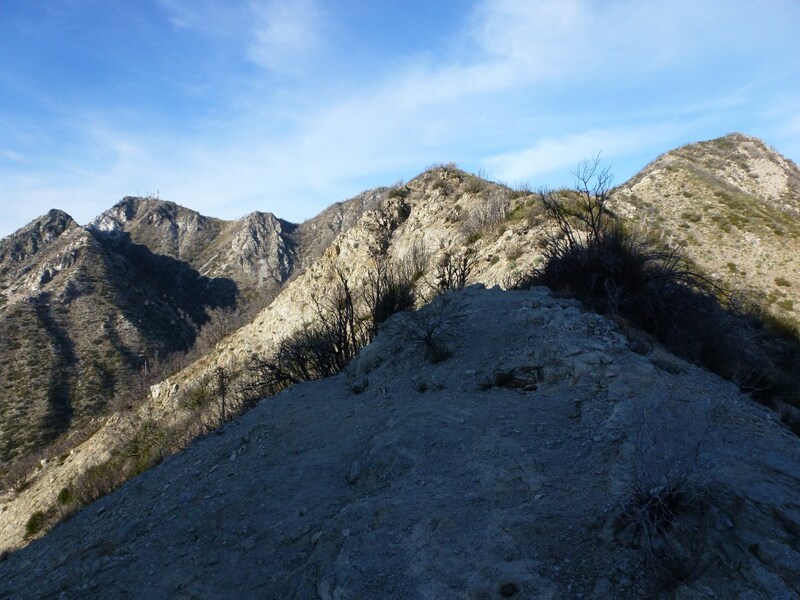 Eaton Saddle to Mt. Lowe, Inspiration Point, Mt. Muir, and Mt. Markham: 8.8 miles, 2211′ of gain and loss. View of JCT Upper East Sam Merrill Trail as seen coming up the Upper East Sam Merrill Trail. The Upper East Sam Merrill Trail continues on the left up to Mt. Lowe, The trail on the right is the Upper North Sam Merrill Trail and leads down to the JCT for the Mt. Markham Trail and down to Markham Saddle. View at JCT Mt. Markham Trail (note: this view is coming down from the Upper North Mt. Lowe Trail). To go up to Mt. Lowe from Markham Saddle, continue in the direction you were already heading past the JCT. To go up to Mt. Markham, take the trail on the right leading up. To go down to Markham Saddle, take the trail on the left leading down.